OMG, amberbrown!!! I LOVE your tattoo! It's so pretty and cute and- ack! I just love it! AnnAnn... I love that pin-up-y girl (librarian?) with the books! What a great way to display your favourite philosopher types! Haha, she does look like Reptar! I haven't seen Rugrats (I had to google Reptar), but now that you said it, you're right. And my second, the beginning of a half sleeve if I can ever afford to finish it. It's really difficult to take a picture of your own arm. Yay for Octopi! 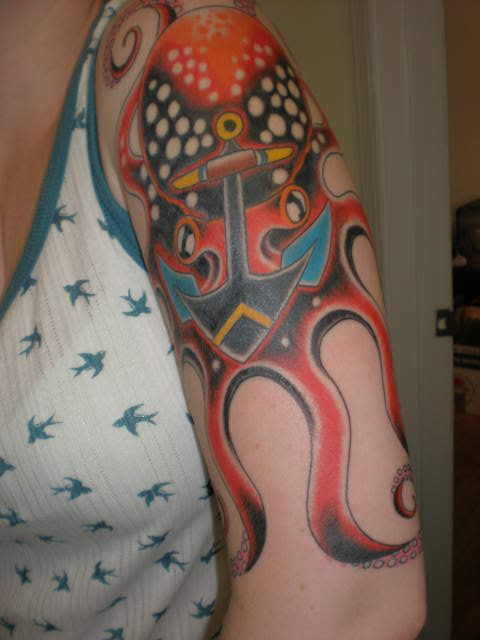 I want one on my shoulder...and I dig how his eyes are kinda hidden in the anchor (to me the two look like one piece instead of an octi and an anchor). I'm thinking of becoming a tattoo artist...as soon as I find out some good shops here I'm going to go down and see about getting an apprenticeship. Uh...though the fact that I don't have any yet is definitely going to be brought up a lot. Hey, I have two that I'm trying to really perfect before I decide to get them, so it's really just an issue of me being indecisive on the final design. 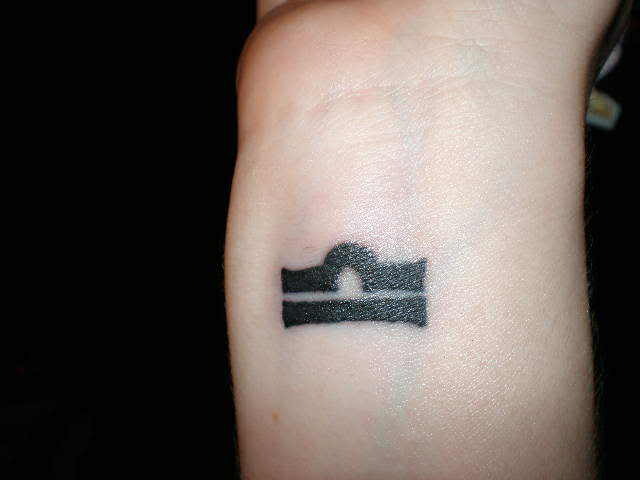 But until then, I'm just going to say that everyone has gotten very lovely and creative tattoos! I had to delete some discussion about tattoo apprenticeship that is off topic for craftster. Better sources of this kind of information can be found on websites focused on body modification, like bmezine.com, rather than craftster. Thanks for understanding!